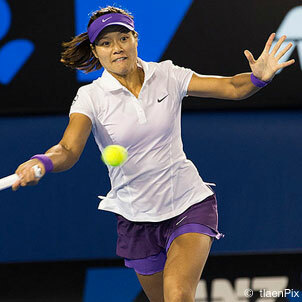 Get the latest women’s singles and doubles tennis rankings for the WTA world tour. Are you curious about how the latest women’s tennis rankings are calculated? If so, you’ve come to the right place. If you’re unfamiliar the WTA rankings system can seem a bit complex, especially in comparison to other women’s sports, but the good news is that it’s pretty straightforward once you grasp the basics. At TennisCompanion we believe all tennis players and fans should understand the basics of how the women’s tennis rankings are calculated. As a result, we put together this handy section to help you learn. As you are most likely aware, women’s tennis rankings are calculated using a simple point system. In essence, the more points a player accumulates the higher their ranking. All players have the ability to accumulate points through the participation in various tournaments that meet the WTA eligibility criteria. The further a player advances through a tournament the more points they have the ability to earn. However, as you may have guessed the distribution of points varies depending on the level of tournament. For example, winning Wimbledon will help you earn more points than winning one of the smaller Premier tournament events. Recognizing this, let’s take a look at the types of tournaments that make up the WTA world tour. 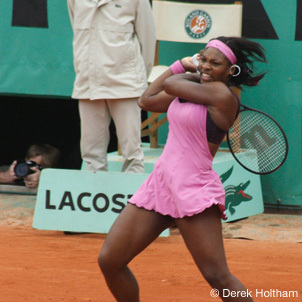 Easily the most well known group of tournaments, the World Tour is the highest level of women’s tennis competition. Tournaments include the Grand Slams, Tour Championships, Premier and international tournaments. As every tennis player knows the Grand Slams, often referred to as the majors, are the most prestigious tournaments. As a result, they attract the most competitive field of players and provide players with the biggest opportunity for earning points. These tournaments include the Australian Open, French Open, Wimbledon and the US Open. Right behind the Grand Slams, the women’s Tour Championships is the equivalent of the ATP World Tour Finals on the men’s circuit. Played at the end of each season this tournament is rather unique in that it only involves the top 8 singles players and uses a round robin format. Fun fact: It was also the only women’s tournament to ever run best of five matches from 1984-1998. The WTA Premier Tournaments are a collection of three categories of tournaments including: Premier Mandatory, Premier 5 and Premier events. Each year there are four Premier Mandatory, five Premier 5 and 12 Premier tournaments held around the world including events in Indian Wells, Miami, Dubai and Tokyo. A level below the Premier Tournaments, the International series of tournaments is made up of a broad set of 30 tournaments. This includes 29 standard International tournaments as well as the Tournament of Champions held at the end of each season. At the second highest tier of women’s professional tennis, the 125k Series (also referred to as the 125s) is where many women earn enough ranking points to qualify for World Tour tournaments. Each year there are 5 125k Series tournaments held and as you may have guessed the prize money for each tournament is $125,000. Lastly, the third and final tier of women’s professional tennis are the ITF Tournaments. These tournaments are run by the International Tennis Federation (ITF), a separate entity from the WTA, and provide aspiring women’s tennis players with the ability to earn enough points to move into WTA tournaments. Now that you have a good understanding of the types of women’s tennis tournaments you’ve probably guessed that the number of available points depends on the level of tournament. In other words, the higher the level the more points a player has the opportunity to accumulate. If so, you’re right on track! In order to get a more complete understanding of how points are awarded, we find it can be helpful to view a table that breaks down the point distribution across all women’s professional tennis tournaments. In the table below you’ll find a breakdown of the current women’s WTA point distribution. On the left hand side the type of tournament is listed and across the top there are abbreviations for the tournament round – each of these will line up with the number of points that are rewarded. How can I learn more about WTA World Tour rankings?